Carkeek Playground is in a regional park, home of Piper’s Creek. The design creatively addresses play and learning opportunities with many natural elements, including and adventure trail, hollow logs and rocks to play around, shallow grottos, tide pools, sand digging, and discovery areas. 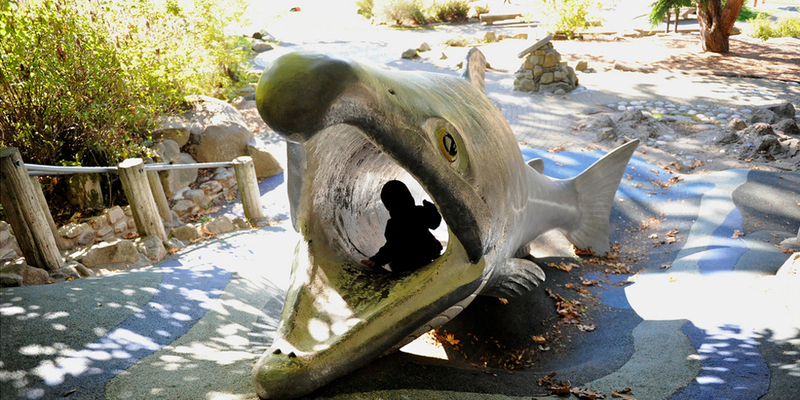 A 19’ long salmon slide represents the Chum salmon in Piper’s Creek.